Everyone throws cocktail parties or dinner parties. 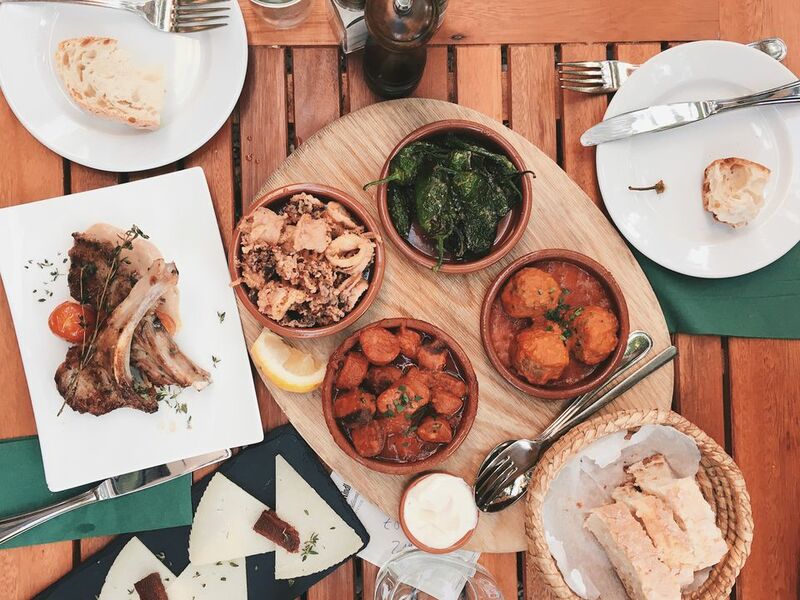 So, why not throw a different kind of party – a Spanish Tapas Party?! Prepare 4-5 different tapas dishes, add several bottles of Spanish wine and you have a delicious party. Instead of serving all the tapas at once, set out one dish every half-hour or so. That way your guests will taste each tapa individually, and before they fill up on the current tapa, the next one is being served. Since many tapas are best when cooked just before serving, you can impress your guests when you finish preparations while they watch! Also known as a "potato omelet," it is a favorite of Spanish cuisine, especially tapas. You can make it in the morning and refrigerate it until you are ready to serve it. Allow the omelet to warm up to room temperature before serving. Because the tortilla is so popular and will disappear quickly, be sure to cut it into 1.5– 2-inch squares and place each piece on top of a slice of bread. This way, your guests will eat their fill, but everyone will have the chance to taste it. This is a quick and easy tapa to make if you buy squid that is already cleaned. You will find bags of frozen, cleaned squid bodies in Asian supermarkets. So, just slice, bread and quickly fry them. This tapa should be cooked just before you will serve it, so it is hot and fresh for your guests. One of the most common and most popular tapas in Spain, this dish is quick, easy and FULL of garlic flavor. Your guests will be asking for the recipe after the first bite, especially the garlic lovers! This is a simple, but delicious appetizer or that everyone enjoys. It involves very little cooking, and you can put it together at the last minute. If Serrano ham is hard to find in your area, substituted prosciutto. Although this salad is not a tapa, with all the protein and bread, your guests are eating in the other tapas; this is a light and fresh finish to the evening. It does contain a little bit of fish and cheese, but your guests can skip those and savor the fresh fruit and lettuce. Of course, if you are serving tapas, the best idea is to serve wonderful, rich Spanish wines with them. Wines from La Rioja are excellent, and you really can't go wrong, but learn more about Spanish Wines from different regions in order to impress your guests.